If you seek between covers an education in the trials and tribulations, the hopes and fears, the terrors and triumphs of the human spirit, the majestic tragedies of the ancient Greeks are the place to begin, and perhaps the place to end as well. In their beautiful, haunting, unsparing plays, Aeschylus, Sophocles, and Euripides—these, alas, are the only tragedians whose works have weathered the centuries—expose the skeleton of human experience with preternatural vision. Freud was right to look for keys to our nature in the elemental confrontations the plays depict; the legacy of these works seems a gift from the gods, a mysterious clue to the puzzles of our hearts and minds. 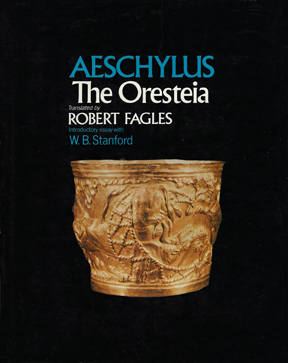 No summary can convey the elemental forces that animate Aeschylus’s work. Informed by the imaginative richness of the myths and epics that preceded it, the trilogy’s wisdom looms like an awesome natural wonder over the philosophical reasoning that Plato and Aristotle would leave in its wake. The truths The Oresteia tells are as ineluctable as fate, and just as enduring. They've weathered the test of time because their themes are universal and tragic.